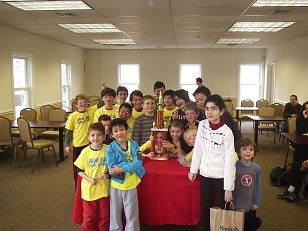 This Sunday the Dream Team faced one of their perennial toughest opponents, the Westchester Chess School. On paper, the Dream Team was the favorite, but in round one the Westchester team demonstrated that ratings mean very little! 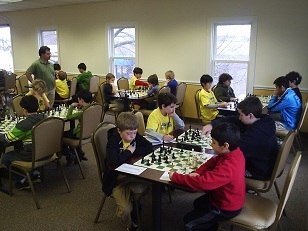 They won the first round 5 – 4. Being behind is an unusual position for the Dream Team to be in. In the crucial second round, they rebounded spectacularly, scoring 7-2 and winning the match by a combined score of 11 – 7! As always, the players of both teams demonstrated exemplary sportsmanship from start to finish, with players congratulating each other on well played and hard fought games.